Either you just set up your aquarium or you have a running set up, the filter is one of the main components that keeps your water healthy and basically your fish alive. Many aquarist are aware of the benefits of biological filtration but are not aware of why it can be so effective. A biological filtration system is one that replicates what happens in nature, and doing so, will get a healthy water environment which will require less maintenance. 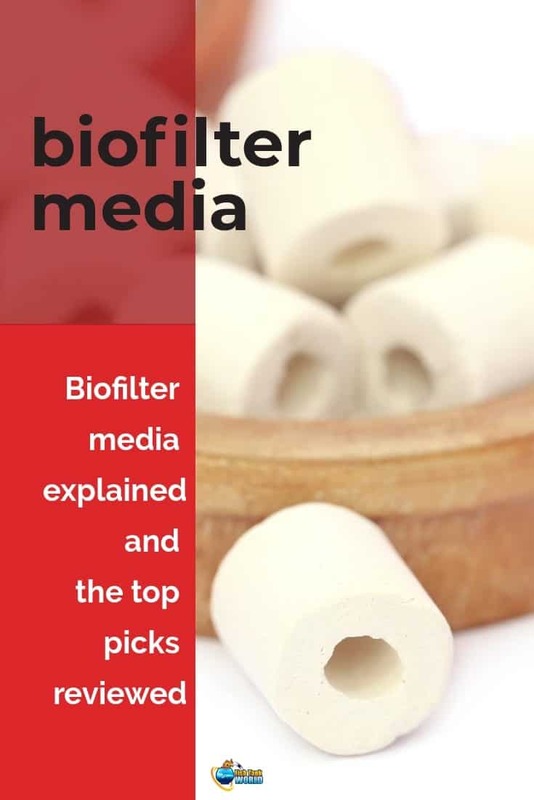 One of the key success elements that makes biological filtration so effective in breaking the toxins in a tank (such as ammonia, nitrite, dissolved organic solids, as well as nitrate), in the biofilter media used is the filter. Let’s take a look at different types that are out there today and which would be best for your tank. What Was in There When You Bought it? Matrix, 2 L / 67.6 oz. 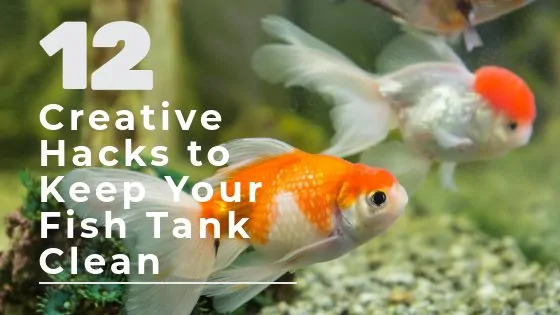 You have most likely already researched about filtration methods for your aquarium and have probably chosen one for your tank that suits your needs. If you are going the all in one route and purchasing a tank that comes in a kit with accessories, then you likely will have a 3 step power, hang on back filter. This is one of the most popular and easiest filters to use in a freshwater aquarium. These kits often come with media provided for the three stages. All 3 step power filters have a combination of mechanical media, chemical media, and biological media to properly filter waste and clean aquarium water. Each filtration media has its own specific function and are all equally important to maintain clear water and fish health. 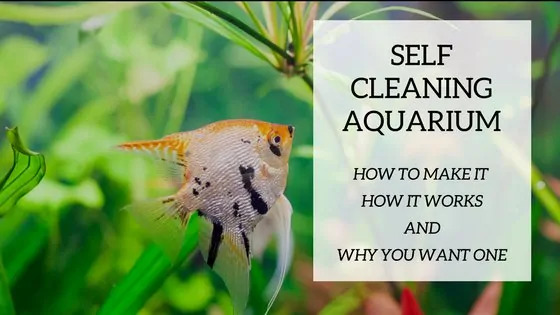 These three steps work in conjunction to remove unwanted debris and harmful substances from your aquarium water. Mechanical media is used to trap debris and waste particles that float in the water. Chemical media absorbs organic elements like fish waste and rotting food that are found in the water. Biological media provides colonies of healthy bacteria that help break down harmful substances present in the water like ammonia and nitrate. Other filtration systems like canister filters, wet/dry filters, under gravel filters also all require biological media in order to function effectively. Bacteria can grow anywhere in your aquarium, not only on the media. These bacteria are doing the same job as the ones hat are in the media, but these bacteria can get washed away or scrapped away during regular maintenance of your tank. This is why having a media set up where they can live safely without being washed away is important. You want to treat it as a healthy community of little critters that are feeding off of some elements that your fish don’t like in the water. Here is an article explaining the different types of filtration systems. Essentially, biological filter media provides a breeding ground for beneficial bacteria to exist so that they can absorb the undesirable substances in your aquarium water and transform it into a good source. Bacteria is usually not a wanted element to have in a case where you want to keep things clean and tidy. In the case of tank water, these bacteria form colonies that survive on getting energy from the negative factors that are in the water. Things like fish waste and uneaten food particles decay and form detrimental nitrate and ammonia in the water. Depending on the type of filter that you have in your tank, the biological filter media will work in conjunction with other medias in order to clean the water and clear it up of the negative elements. Biological media nitrifies the unwanted elements. Biological media creates a source of “good bacteria” that is a good element for your tank. These media come in different types but all have the same basic functions. It is like a home for bacteria colonies to grow and prosper. Depending on the type of filter that you have, you will need to choose the appropriate biological media to insert inside your filter to provide a space for these good bacteria to live in. Some filters are sold with the media and others are not. Make sure you know what you are bringing home. Some filters will also require that you not change the media or if the need arises, you need to purchase the same one so that your filter continues to work properly. Others will be more versatile and be capable to accommodate different types. Research your filter and make sure that you provide the best media for it. These are the most common types of media available today. You want to make sure that you have a lot of surface area in order to provide enough bacteria to grow and flourish. Porous rocks like lava or zeolite are used in biological filters and provide a good breeding ground for bacteria to make home. These are plastic and are designed to create turbulence allowing a good mix of water and air that is needed to create good conditions for the bacteria to grow and prevent clogging. This is very porous ceramic cubes that are cut to fit the space in the filter and is an excellent way to provide biological filtration. These have a great surface area structure and are quite common nowadays. Check out this video showing the different types of media and their uses. Obviously clean water is the top concern for our aquarium. Healthy water means healthy fish and inhabitants. It makes sense to provide all possible avenues to keep your water healthy and having a functioning filter is one of the top ways to achieve this. Providing a healthy environment for your fish should be your priority. When ammonia levels spike in your tank, you will notice your fish gasping for air at the surface or even dying. This is never a level you want to get to. 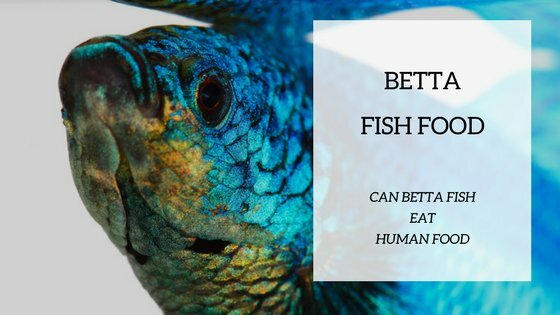 Things can go wrong really quickly in an aquarium and bringing it back to health can be long and tedious. You want to make sure that you don’t have to deal with any potential problems by providing adequate filtration and other regular maintenance chores. Your biological media will help to keep levels of certain harmful substances at bay. The all in one kits that come provided with a filter may have included the filter media. Make sure to ask and make sure that you have biological media for your filter to function properly. You can research and find out if you can change the option that they have provided or not. Make also sure that it is not only the company pushing their product. Sometimes you can use another brand or type and the filter will continue to work great. Obviously, different filters require different medias. Some will only function with a certain type of media and others will do well with a variety of kinds. Research your filter and find out what it needs. Also, make sure to verify if the media is set for freshwater aquarium or saltwater tanks. Most biological medias that ae on the market today can be used in both settings, but some are better for freshwater and others are better suited for saltwater and reef aquariums. The size of your aquarium and filter will determine how much media you need to provide. Biological media is not a bank buster, but some are more expensive than others. Seeing that this is a pretty permanent investment because it will not have to be change regularly, you may want to get the better quality biological media for your filter that your money can buy. It is recommended that biological media not be changed unless a dire need arises. It is best to choose the appropriate media for your filter and leave it in there. It takes time for the bacteria to form and once you have a stabilized colony running, they are working away at cleaning the unwanted substances in your water. Changing the media will mean starting this process of colonization over. It is best to gently clean the media with tank water in order not to remove all bacteria. Some bacteria have to remain on the media in order for it to continue to function properly. If you need to change the media for whatever reason, try to colonize it before putting it into the filter with tank water. Also, you may purchase prepared nitrifying bacteria liquid or powder to get the process started more quickly. Here is a great reading explaining the steps on how to start a bio filter. You may read other advices that recommend changing the media or partly changing the media in your filter. Make sure that these articles are not related to a company that is solely trying to promote the sales of products. This is a controversial subject and in the end the decision comes down to you and your particular needs. Some unforeseen events may happen like a contamination or over medication that will require an extensive maintenance of the tank in general and possibly biological media change. Some media can be partly changed and that may be a best option. This will provide a continuous source of bacteria. These bacteria continue to proliferate and will eventually expand onto the new added media. Most freshwater aquariums will benefit from some source of biological media filtration. Depending on the filter that you are using or intend on using, most will have a space for the biological media to sit. Saltwater and reef aquariums are different and some would recommend that biological media not be used. Some rocks in the reef tanks will provide enough porous and surface area for the beneficial bacteria to grow. You can even use rocks to cycle a saltwater aquarium. Read this article to find out more. Here are our top picks that we feel do a great job and that get continuous good reviews from customers. Some are boxed in to a certain type of filter, while others are versatile and can be inserted in a variety of different filters that are on the market today. These are very porous glass balls that have great reviews. They are made from fine particles that are compressed together. They have a high surface area that allows the biological process to thrive. These glass beads work for canister filters. The beads can be easily rinsed should they require cleaning. This product is good for both fresh and saltwater aquariums. This media is completely natural and doesn’t contain any harmful chemicals or additives. It can sustain the anaerobic bacteria that is very helpful in controlling water health. It is very porous and the surface area quite considerable so these bacteria can survive and bloom. Some costumers have commented on the fact to be careful when manipulating the media because it is dusty and can mark your clothing. Fluval is a well known brand within the aquarist community and is trusted to manufacture quality products. The Fluval G-Nodes Biological Filtration Media consists of star shaped ceramic cylinders that provide ample surface area and porous material for the good bacteria to grow in. This media is best suited for the G series filters from Fluval. The Fluval Biomax Filter Media are made of ceramic rings have a great surface area for bacteria to form and live. The rings contain tunnels that provide extra space for the bacteria to live in. Fluval is a renowned brand in the aquarist world and can be trusted as an excellent product. The ceramic rings can be used in a variety of filters and aquariums and in fresh and saltwater tanks. The company recommends that you change a few ceramic rings every six months or so. Matrix High Capacity Biofiltration is a porous pumice pebbles system of biological media. The pebbles are made so that the bacteria can live on the surface and also inside. This media is good for a variety of filters and is good for freshwater and saltwater aqauriums. You can use these pebbles loosely in the filter basket or in a filter bag. Choosing the best biological filter media is important because it is a component that does not get changed very often, if ever. Research your filter or the one that you want to purchase and see what biological media works best with it. 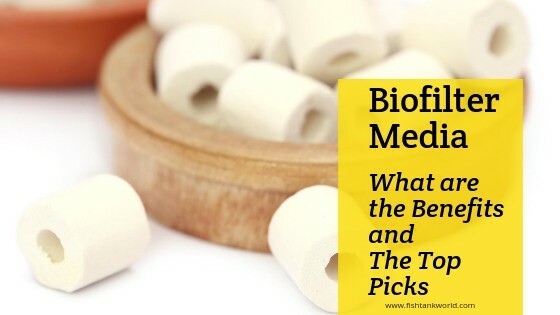 In our roundup, all biological media that we choose will be a good choice. Depending on your specific needs, you will have to choose what your filter accommodates. We believe that choosing a Fluval product assures quality and product reliability. The Fluval Biomax Filter Media is a versatile media that can be used in many different types of filters. We feel like this media does its job very well at maintaining a healthy colony of beneficial nitrifying bacteria in your filter. Feel free to comment and leave your own impressions or experiences with any of these products. We would love to hear from you.